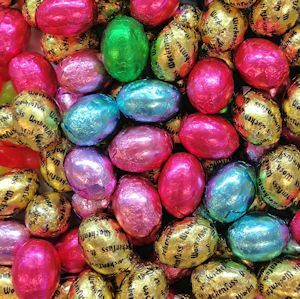 Home / Products / Seasonal / Easter Candies & Pops / Milk Chocolate Foil Eggs, 1 lb. Foils cover these traditional Easter basket mainstays. Foiled in a variety of solid colors.